Rev. Dr. James Chuck, Th.D. I was honored to participate in a tribute to the life and ministry of the Rev. Dr. James Chuck on Feb. 8, 2014 sponsored by ISAAC NorCal. Dr. Chuck was pastor of the First Chinese Baptist Church, San Francisco, for forty years. After his retirement, he had a second twenty-year career as a theological educator at the American Baptist Seminary of the West/Graduate Theological Union. He is one of my favorite mentors and, a hero, in my eyes, of building bridges between mainline Protestants and evangelicals. I’m sure that this will not be the last time I share about James in my Asian American Christian legacy blogs! In 2002, the First Chinese Baptist Church in San Francisco began a project to preserve and share the life stories of persons connected with the church, plus some others from the Chinatown Community. Participants talk about parents, growing up, schooling, marriage and family, work, and faith and values. The stories are contained in three volumes: the first published in 2002, the second in 2008, and Volume III in 2012, with each volume containing about 60 stories. Volume I is no longer available for general distribution, but some copies have been saved out for libraries who may want to purchase a single copy. Collectively, the three volumes, which is illustrated with hundreds of photographs, provides a rich travel trove of stories of Chinese Americans negotiating life in 20th Century America. 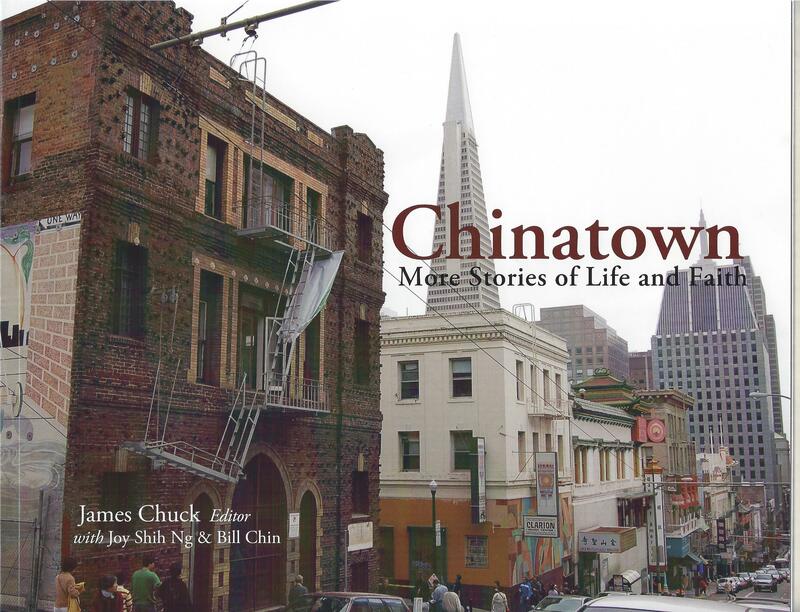 Copies are available for purchase from First Chinese Baptist Church, 1 Waverly Place, San Francisco, California, 94108. (415) 362-4139. 20.00 per copy; 15.00 per copy for three or more copies. In the second part of his presentation, he offers suggestions about the future direction of Chinese American churches. In retrospect, James was amazingly prescient. 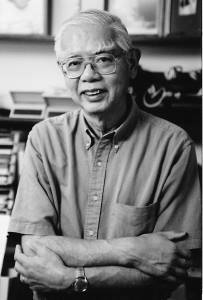 He agreed with emergent Chinese American evangelicalism in the 1970s about the centrality of evangelism in congregational life. Indeed, the impressive growth of immigrant and American-born Chinese evangelicalism since 1970 has almost overshadowed the legacy of the earlier generation of mainline Protestant Chinese Americans. Perhaps James anticipated this. Thus, he expressed concern about the loss or negligence of public witness among Chinese American Christians. Where Are the Chinese Churches Heading in the 1970’s? When we speak of a “Chinese” church, we are speaking of a church which sees its special responsibility as that of reaching the Chinese. The issue is not whether we need a Chinese church as such. That is a secondary question. The main question is who will work among the Chinese, and how can this work be best carried out? Protestant work among the Chinese has a history of over one hundred years. That work has included a variety of ministries, including the teaching of English, the teaching of Chinese, rescue missions, social services, children and youth programs, etc. Within these missions, staffed mostly by missionaries, were organized “Chinese” churches led by pastors who were for the most part from China. This was a situation which continued through the 1940’s. As more and more of the American born became assimilated into the American way of life, the English speaking element within the churches gradually became more predominant. In the 1950’s and 1960’s, this element within the Chinese churches supplied more and more of the leadership and financial support. This period began to raise the question as to whether or not there will continue to be a need for Chinese churches as such. The influx of new immigrants in recent years has, of course, introduced a new dimension to this question. In May of 1968, the Bureau of Community Research connected with the Pacific School of Religion published a report entitled, “A Study of Chinese Churches in the San Francisco Bay Area.” The report found 34 predominantly Chinese congregations in the Bay Area, two times the number in 1952. This increase can be almost entirely accounted for by new groups coming to work among the Chinese. Denominations such as the Lutherans, Southern Baptists, the Reformed Church, Nazarenes, etc. established work among the Chinese, as well as independent groups with special attraction to student groups, the Mandarin speaking, and other sub-groups of Chinese not being reached by the existing churches. Churches in the Bay Area averaged 120 members; in San Francisco, 240. Including Roman Catholics, Chinese churches were reaching, either as members or as constituents, about 25% of the Chinese population. From the study, the following profile of the membership emerged. First, the membership was middle class. 70% were married and have middle size families; 50% belong to professional, business, or clerical; and 80% work outside of Chinatown. Secondly, the membership was found to be youthful, with one half of the members between the ages of 25-44. They are undoubtedly the products of the youth programs of the late 1940’s through the early 60’s. Thirdly, the majority of the membership (63%) were born in the United States. Fourthly, most of the members (59%) listed English as their dominant language. The study also found that 70% of the governing boards of these churches consisted of English speaking persons. This profile confirms the observation that the Chinese churches – at least among those which belong to the mainline denominations and have a comparatively speaking long history – are made up primarily of English speaking persons. The report also found that a third of the membership of these churches live within a mile of the church building, but another third had to travel more than five miles to get to church. Nevertheless, the activity level was fairly high, with 52% reporting that they attend church at least once a week; and 58% reporting that they belong to at least one church group besides attending worship. The new factor in the Chinese churches is the arrival of a great number of new immigrants in recent years. To varying degrees, they have made an impact upon the churches. Some churches have made the reaching of these new immigrants the main thrust of their work. Other churches have created separate and parallel programs, all the way from polite indifference to open conflict. While these new arrivals hold promise of giving new life to our churches, differences in background, theology, understanding of the scriptures, style of life, etc. could be decisive unless this new challenge is intelligently and creatively met. These are some of the sociological facts, defining the context in which the Chinese church must do its work. In order, however, to delineate where the church is heading in the 1970’s, it is also necessary to look into the church’s understanding of its mission. Evangelism, broadly conceived, involves at least four stages. The first is contact, making some connection, getting next to the people we are trying to reach. The second stage is cultivation. People simply are not able to make any meaningful decision without some prior preparation of heart and mind. The third stage is commitment, the glad and willing response of a person to the call of Christian discipleship. The fourth step is conservation, the continuing process of nurture and growth whereby committed persons express their faith in loving service to others in the name of Christ. From this it can be readily seen that the vehicles of evangelism involves nothing less than the totality of all that the church does. Christian education, social service, social action committees, and services of worship are necessary either as preparation for, or as an expression of, the new life in Christ. Mass evangelistic meetings (emphasizing the element of commitment) is meaningful only when placed within the total context of nurture and the life of service and witness. The church’s main task, therefore, is to call men to respond in love and trust to God through Christ. That is where the Christian life begins. This relation which man has with God is always deeply personal, even mystical, in nature. One of the main contributions of the conservative wing of the Christian faith is to constantly remind us of that fact. However, we need to go on to say that although faith is intensely personal, it is never private. Much harm has been done to the Christian cause with the uncritical identification of the personal with the private. True faith always seeks to find ways of expressing the love of God in love for neighbor. The Christian lives a “separated” existence only in the sense that his life is different from, or distinguishable from that of the world; but the Christian never lives apart from the world. He is in the world but not of it. He relates to the world as salt, light, and leaven. Much of the recent criticism of the church today is precisely at this point: the church has not been sufficiently concerned about the large social issues such as injustice, war, the pollution of the environment, etc., being too often preoccupied exclusively with personal morality and the salvation of the individual’s soul. It is extremely unfortunate that in the fundamentalist-liberal controversy, which goes back now at least half a century, commitment to Jesus Christ in a deep personal sense and concern for the world and its needs are seen as opposites. Why could we not have said that the more deeply we are committed to Christ, the more we will be committed to the world and its needs? And conversely, the more we are committed to the world and its needs, the more we will see the need for the new life in Christ. Now when people ask the question, “What is your church doing?”, I believe we must not hesitate to say that the main thing we are doing is to bring to men the new life in Christ. But I also believe that the fullness of faith must be expressed not only in deep personal commitment, but also in works of love: for much of the outside world will understand our commitment only in terms of our works of love. The quality of commitment we bring to bear on the work of the Chinese churches. If we seek first the Kingdom — give this matter of reaching the Chinese top priority as far as energy and resources are concerned — then we may see some notable progress made in the coming decade. The fullness of our understanding of the Gospel, taking seriously both parts of the great commandment. The whole Gospel should be deeply personal and socially relevant at the same time. The 1970’s are not a time to retreat to an individualistic perversion of the Gospel. We must not only move ahead, but in the right direction. The quality of leadership we can bring to bear in reaching all age groups and conditions of men. We are beginning to see emerging in the Chinese churches a quality of mature churchmanship such as we have never seen in the history of the Chinese churches in America. Whether all the potential that is there can be effectively channeled is for the present an open question. The present generation of Christians in our churches is probably better trained, and has more in the way of financial and other resources, than any previous generation. If we are good stewards, we may write a significant chapter in the history of the Chinese church in America.